Seven churches and a cathedral will have essential repair work funded by the Heritage Lottery Fund (HLF) and Historic Environment Scotland (HES). More than £1.55m will go to projects including the restoration of St Ninian's Cathedral in Perth - the first to be built after the Reformation. St Michael's Church in Inveresk and St Mary's in Kirkintilloch will benefit. HES project officer Frazer Gibson said: "Places of worship are a vital part of Scotland's built heritage." The funding will go towards making the buildings wind and watertight, and "provide a venue for worship and a hub for community activity". 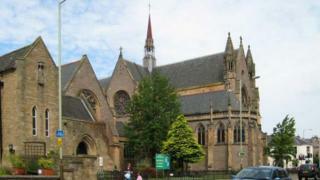 St Ninian's Episcopal Church in Glen Urquhart will also receive a second round award of £243,400. Frazer Gibson, of the HES, added: "Throughout the centuries, Scottish society has been intrinsically linked with religion, with the local place of worship often forming the focal point of communities. "As a result, a great deal of resource has been expended throughout those years to create some of the country's most important and carefully constructed buildings. "Nowadays many continue to serve as a hub for the communities they serve, but they can also be appreciated for their aesthetic value and historical importance." Lucy Casot, of the Heritage Lottery Fund, said they were delighted to help congregations secure the future of their buildings. She said: "Not only will they be wind and watertight, but activities and events will reach out to new generations encouraging many more through their doors."